The fishing town of Fisterra (Finisterre in Spanish) is located on the Atlantic Coast of Galicia, some 100km away from Santiago de Compostela. 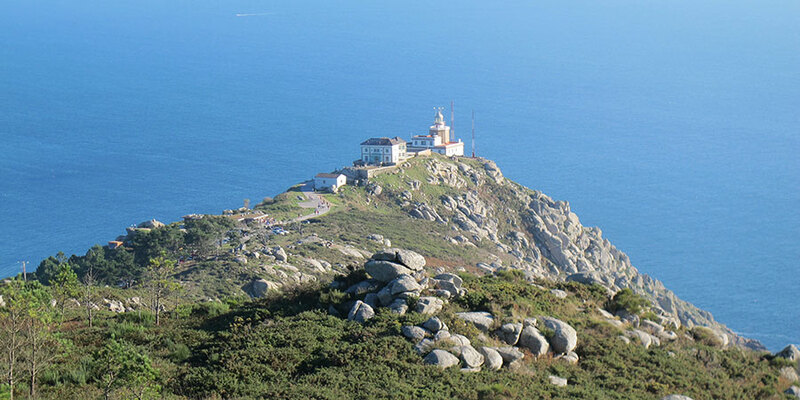 Cape Fisterra and its lighthouse, on a headland just outside the town, has been the final destination for pilgrims walking the Camino de Santiago for many centuries, completing the so-called Finisterre Camino. The Romans gave this town the name of ‘Finis Terrae’, meaning Land’s End or The End of the World, as they believed this point to be the most Western corner of their vast Empire. After the discovery of the tomb of Saint James in the Middle Ages, pilgrims on the Way to Santiago started arriving in Fisterra to worship an image of Sacred Christ and see the ‘End of the World’. Since then, many pilgrims have walked this last stretch of the Camino after reaching Santiago. Pilgrims often burn some of their clothes or walking shoes at Cape Fisterra, overlooking the Atlantic, almost as a ritual of purification or just as a symbolic end to their long journey. Although this practice has attracted many critics in recent times, for its obvious environmental risks. But the Romans weren’t the only ones to be captivated by Fisterra’s privileged location over the Atlantic and its magical sunsets (the sinking sun). The ‘End of the World’ on the mythical and dangerous Costa da Morte (Coast of Death) was also believed to be home to Ara Solis, an ancient altar dedicated to sun worshiping; some say created by the Phoenicians, some say by Celtic tribes. It is also here that pre-christian comunities believed the Land of the Living touched the Land of the Death. Religion, maritime traditions and pagan beliefs often mix in the folklore of Fisterra and the Costa da Morte, resulting in a rich collection of interesting local stories, legends and myths. For instance, many large rocks in this region have been attributed ‘special powers’ over the centuries, some are called ‘holy stones’ others ‘rocking stones’ or ‘oscillating stones’. The most high profile rock is probably the ‘Pedra de Abalar’ in Muxia. 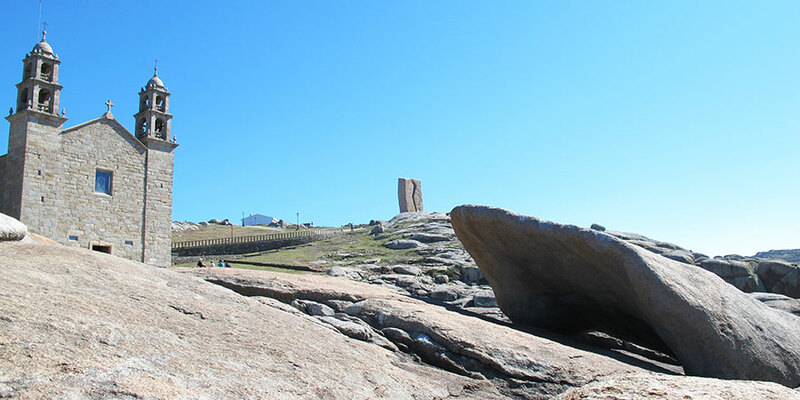 Legend has it this rocking stone was the ‘stone boat’ that carried the Virgin Mary on her way to Galicia to visit Saint James; others claim this is just another of the many stones being worshiped along the Costa da Morte since pre-Christian times. Some of the powers attributed to the stone include being able to determine if someone is guilty or not in the case of serious crimes, but also if the stone rocks or makes a noise without human intervention this should be considered a warning that a shipwreck or other bad event is going to happen in the locality. Many more rocks around Fisterra and the Costa da Morte are considered by the locals to have curative powers. Legends, myths or beauty, there is plenty to be captivated by in Fisterra and the Costa da Morte. Despite being one of the most dangerous stretches of coast for navigation (hence its name), the Costa da Morte is also home to some of the most stunning and pristine beaches; as well as mesmerising sunsets right at the End of the World. To book the Finisterre Camino or any of the Camino routes contact one of our Travel Specialists.